It is the 1999, Mushrooms of Cyprus set. Good condition set of Cyprus. It is the 1983, Overprints on 1980 Treasures set. Good condition set of Cyprus. It is the 1985, 1c - £5 Complete set. Good condition set of Cyprus. It is the 2001, Loukis Akritas stamp. Stanley Gibbons No. 1024. It is the 1967, Anniversary of Unesco stamp. Good condition stamp of Cyprus. It is the 2001, Centenary of Paulos Liasides stamp. Stanley Gibbons No. 1014. Stanley Gibbons No. 997. Good condition stamp of Cyprus. It is the 2006, Transplants stamp. Stanley Gibbons No. 1115. It is the 1966, General Thimayya stamp. Stanley Gibbons No. 279. It is the 2001, Anniversary of UNHCR stamp. Stanley Gibbons No. 1013. Stanley Gibbons No. 322, 323. Good condition set of Cyprus. It is the 1972, Christmas set. 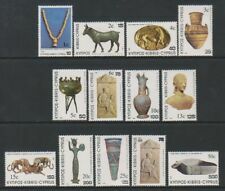 Good condition set of Cyprus. It is the 1978, Christmas set. Good condition set of Cyprus. It is the 1974, Christmas set. Good condition set of Cyprus. It is the 1995, Christmas set. It is the 1979, Christmas Icons set. Good condition set of Cyprus. It is the 1974, 2nd International Congress of Cypriot Study set. Good condition set of Cyprus. 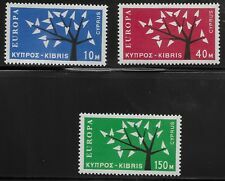 It is the 1967, Cyprus Art Exhibition, Paris stamp. Stanley Gibbons No. 314. 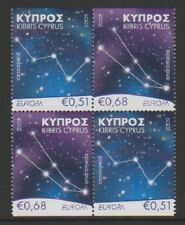 It is the 1980, Anniversary of Republic of Cyprus set. Good condition set of Cyprus. It is the 1984, Anniversary of Turkish Landings set. Good condition set of Cyprus. Good condition set of Cyprus. It is the 1972, World Heart Month set. It is the 1981, Anniversaries & Events set. Good condition set of Cyprus. It is the 1964, U.N Security Council set. Good condition set of Cyprus. It is the 1969, 1st International Congress of Cypriot Study set. 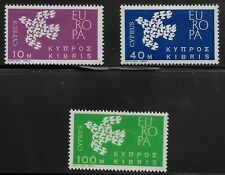 Good condition set of Cyprus.